Whenever we receive a new project that begins with an empty house, it gives us the opportunity to really envision a design that’s fresh and new. With so much open space, this next project definitely enabled us to dream a little! 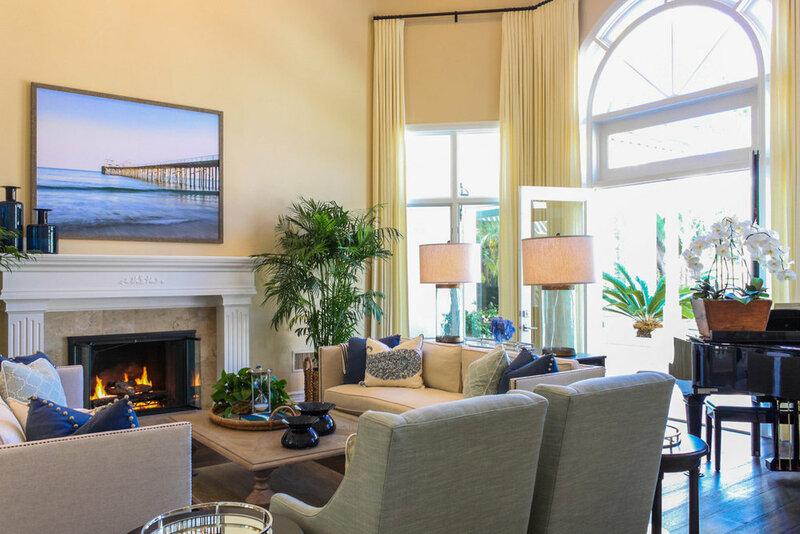 These clients asked for a coastal style and, while most people might picture a beachside cottage, we envisioned an elegant resort-like home. Of course, with any house that’s made up of such large spaces, we had to keep proportion, flow, and space in mind. The final result is a grand house that still feels inviting…a true place to call home. 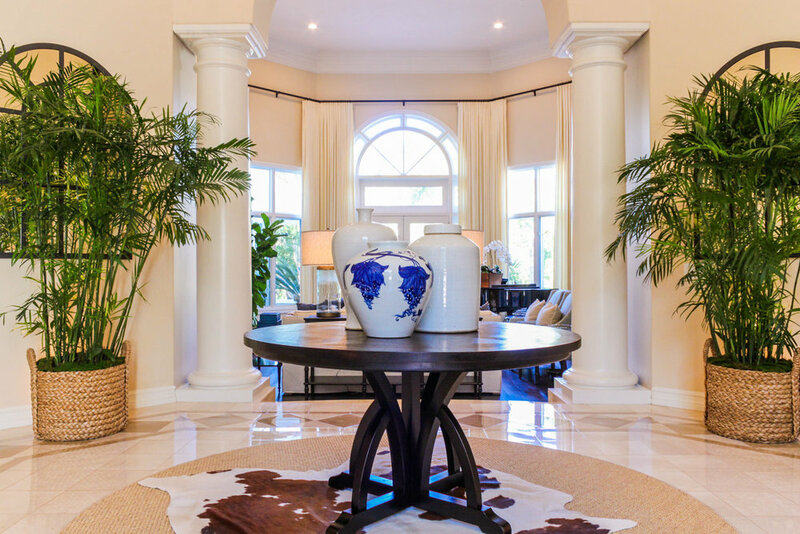 The bones of the house featured neutral tile flooring, large arch ways, and columns—making the home seem more tuscan or mediterranean. 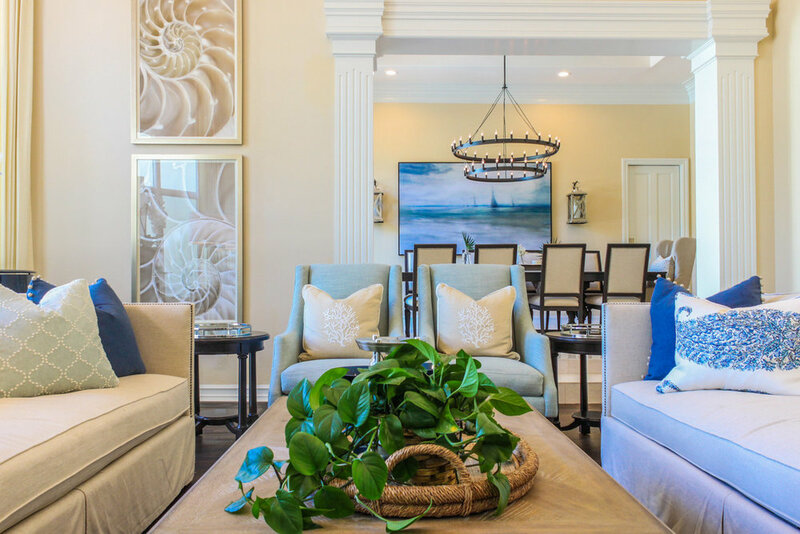 In order to make the coastal design feel natural, we played off that mediterranean style and went with a resort flare. 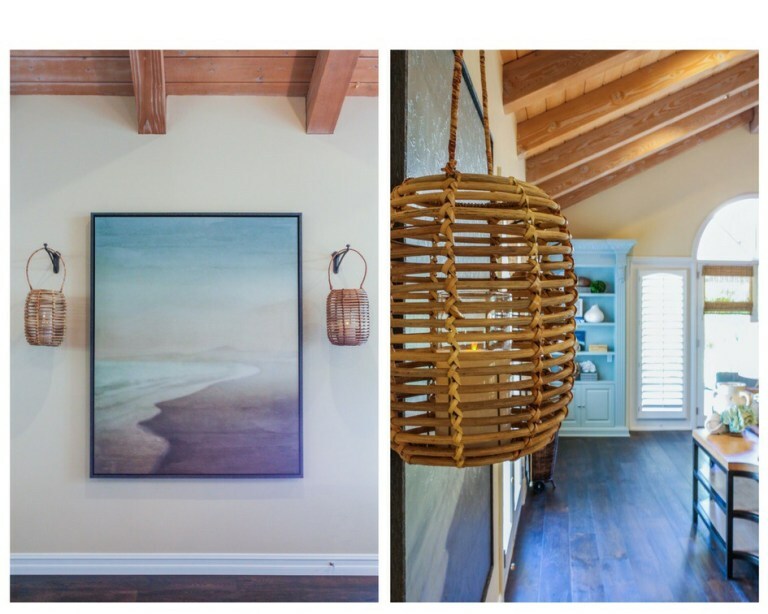 This was such a fun project, and we hope these clients enjoy their home as much as we did designing it! Thanks for reading! As newlyweds, first-time homeowners, and soon-to-be parents, this young couple was ready to create a forever home for their future family. Of course, that’s what we love to do most! 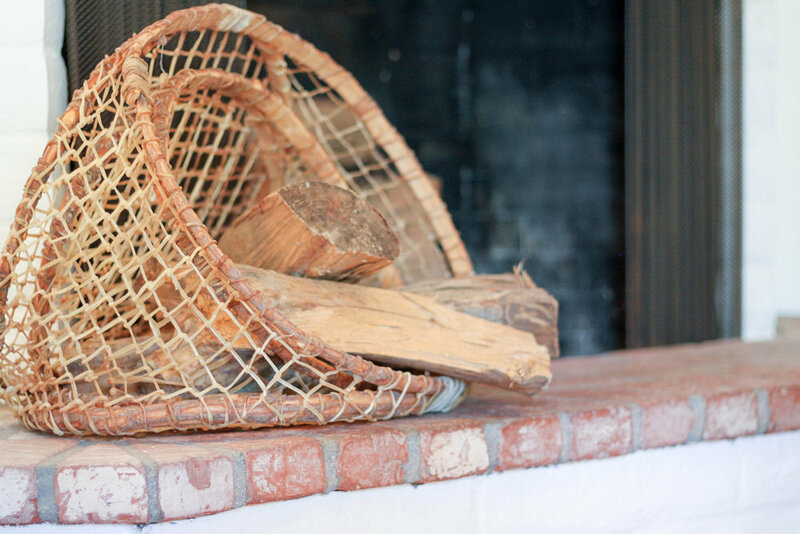 When we came in, this coastal home felt closed in and dark. 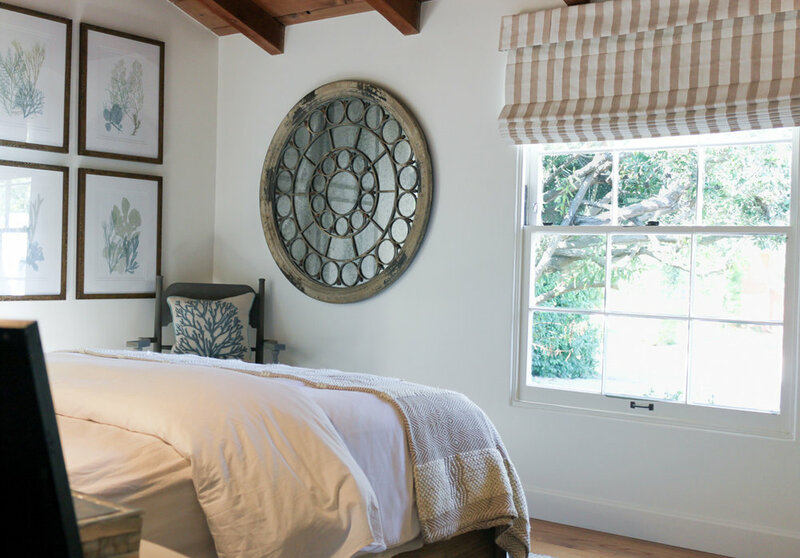 Aiming for light and airy, we began with Dunn Edwards paint in the color Whisper to open up the space and neutral tone-on-tone fabrics for pillows and window treatments. 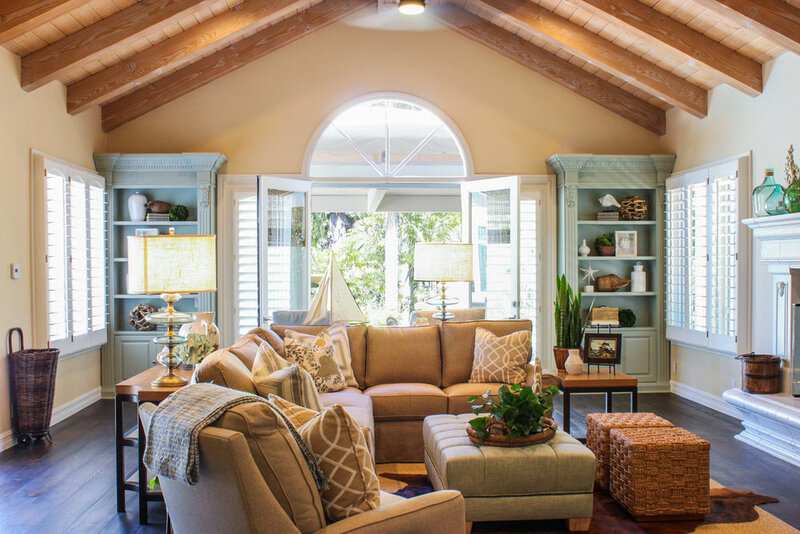 Then we added pops of robins-egg-blue for a bit of color and let the cedar beam ceilings stand out. The result? 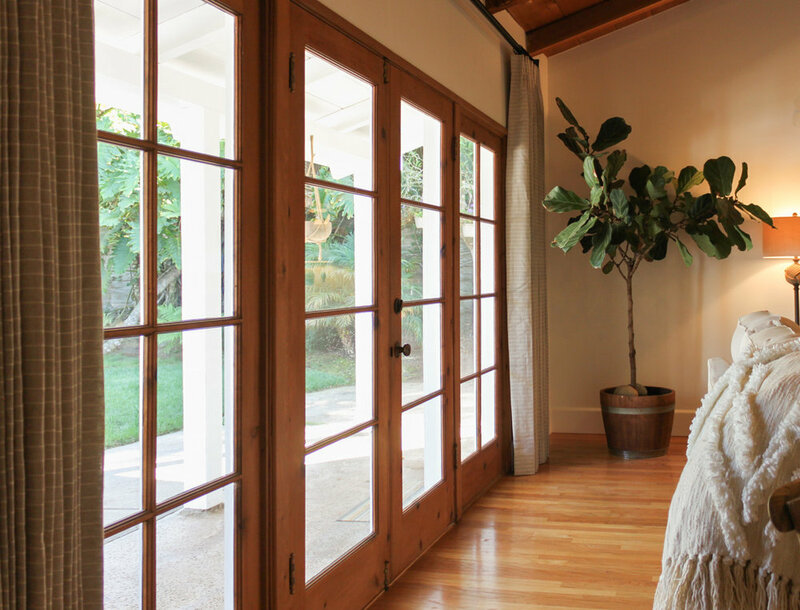 A home that feels open, light, and timeless–a perfect beginning to a forever home. As these clients enter an exciting time of life, we are only too thrilled to help them begin creating their forever home. We can’t wait to continue working with them in the future!